The No. 13 women’s lacrosse team earned a ticket to the Ivy League Tournament with a 15-8 victory over Cornell University on Saturday. The women’s rowing team raced their first and last home regatta last weekend against Boston University. There are a few things we have come to expect every year out of the first round of the Stanley Cup playoffs: inconsistent officiating and supplemental discipline, upsets and long series with lots of overtime. Following a dominant victory over the University of Connecticut on Tuesday, the No. 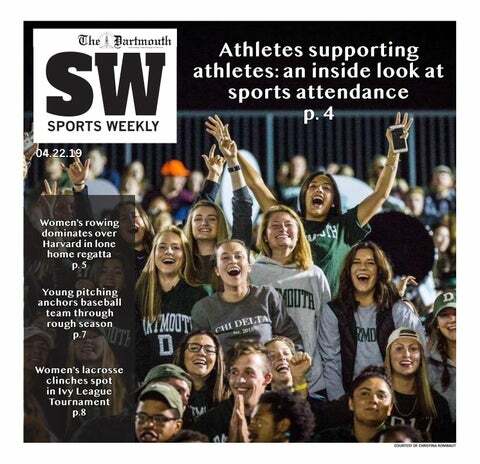 20 women’s lacrosse team’s six-game winning streak came to an end Saturday when the Big Green’s second-half comeback against No. 17 Princeton University fell short. Two weeks ago, with a record-setting television audience watching the game, the Calgary Inferno defeated the Les Canadiennes de Montréal 5-2 to capture the Clarkson Cup as Canadian Women’s Hockey League champions.